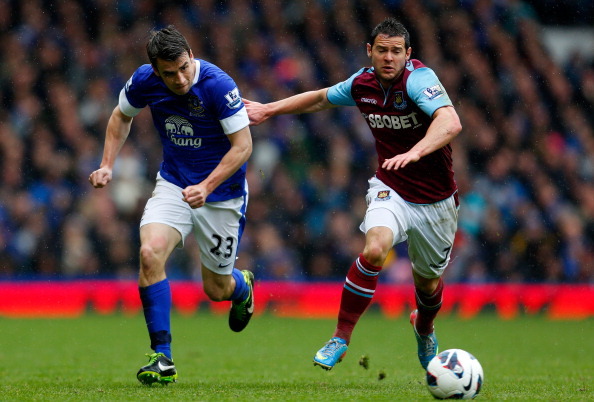 Everton visit West Ham United on Saturday. Romelu Lukaku is line to make his debut for Everton against West Ham after being ineligible against parent club Chelsea last weekend. On the other hand, West Ham are still struggling in attack following the news that Andy Carroll will remain on the sidelines with a foot injury for some more time. Striker Mladen Petric has been brought in on a free, but is till not considered ready for Premier League, so Modibo Maiga is set to continue up front for the Hammers. - Everton haven’t lost against West Ham in eleven matches and have won six of those. - Everton are undefeated in their last 11 matches against West Ham in all competitions. - Everton have kept a clean sheet in 6 of their last 8 matches in the Premier League. - There have been three red cards in the last three Premier League meetings of these sides. - West Ham have failed to score in 5 of their last 7 matches in the Premier League. - West Ham have managed only six shots on target so far this season, fewer than any other side in the Premier League. - Everton have attempted 681 and completed 517 passes in the final third of the pitch this season which are more passes than any other side this season.